The underpinnings of a decent society are neutral laws -- laws that favor no particular individual or group -- and the impartial enforcement of those laws. 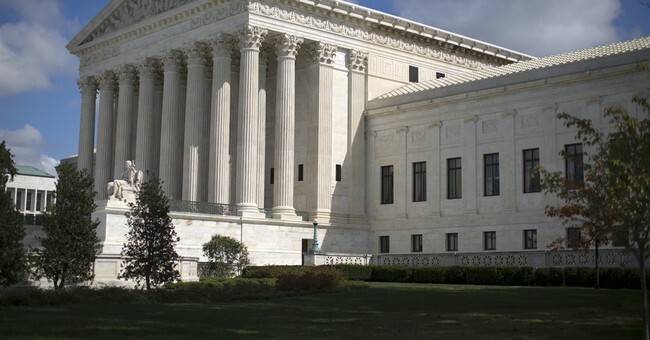 The U.S. Supreme Court's job is to ensure the impartial enforcement of our laws. But our two presidential candidates differ in their visions of court appointees. Hillary Clinton says that she would "look broadly and widely for people who represent the diversity of our country" and that "we need a Supreme Court that will stand up on behalf of women's rights (and) on behalf of the rights of the LGBT community." In contrast, Donald Trump says, "I will appoint justices who, like Justice (Antonin) Scalia, will protect our liberty with the highest regard for the Constitution." Limited government and rule of law are conflict-reducing, whereas diversity-oriented justices who stand up for the rights of particular individuals are conflict-enhancing. Let's look at a simple example of the benefit of neutral rules and their impartial! enforcement. The essence of a Supreme Court justice's job is just like that of a referee -- namely, impartially enforcing the U.S. Constitution, our rules of the game. The status of a person appearing before the court should have absolutely nothing to do with the rendering of a decision. That's why Lady Justice, often appearing on court buildings, is shown wearing a blindfold. It's to indicate that justice should be meted out impartially, regardless of identity, power or weakness. Also, as Justice Oliver Wendell Holmes said, "men should know the rules by which the game is played. Doubt as to the value of some of those rules is no sufficient reason why they should not be followed by the courts." In other words, the legislative branch makes the rules, not judges. True justice must be settled by process questions, such as: Were the rules unbiased and evenly applied? If so, any outcome of the game of life is just. Decisions based upon empathy would make it unjust.